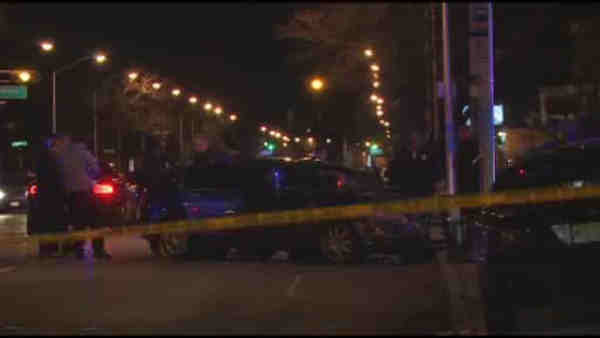 Two people were shot, one fatally, in a car in Newark. The victims were shot on Elizabeth Avenue at Hunter Street just after 11 p.m. Tuesday. Jamal McBride, 25, of Newark, was pronounced dead at the scene. The second victim, a woman, was taken to University Hospital in Newark and is stable. Her name was not released. The shooting scene appeared to be a half block away from where the victims' car came to a rest, in front of an Exxon gas station. Police were searching for suspects.